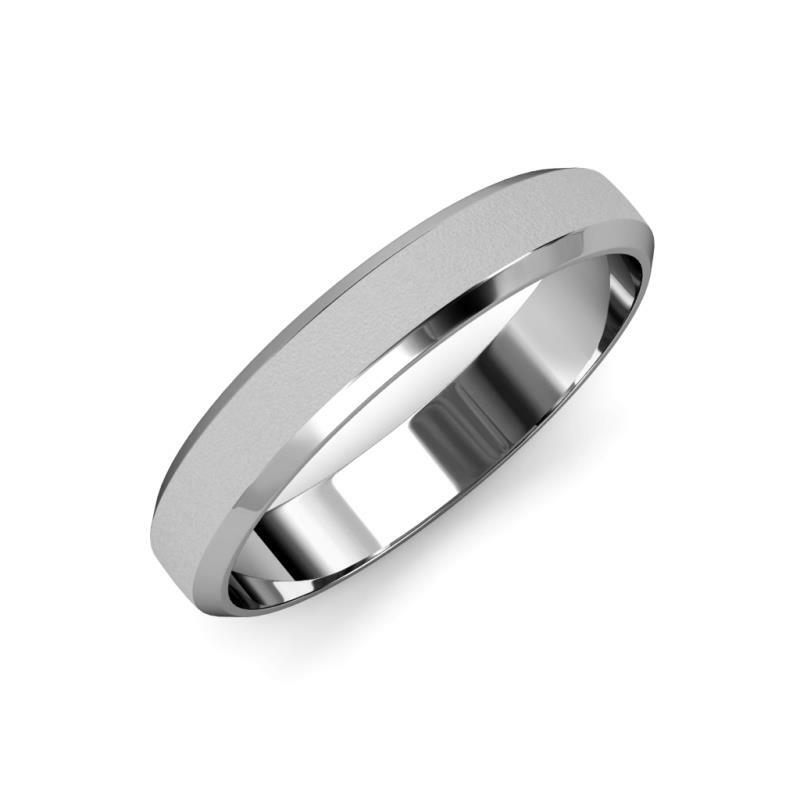 Glass Finish 4.00 mm Beveled Edge Wedding Band This stylish Wedding Band is perfect that are looking for subtle design band.This design finishes with a beveled edging that can be easily worn with every style. Condition: $451 New In stock! Order now! Order in 5:55 hrs to get it by 30th Apr 2019 with Overnight Delivery Learn More. Normal processing time for this item is 5 to 6 business days before it ships and it will ship via your chosen ship method after the processing time is complete. This stylish Wedding Band is perfect that are looking for subtle design band.This design finishes with a beveled edging that can be easily worn with every style. Glass Finish Beveled Edge Wedding Band in 14K White Gold. Width of the Band is 4.00 mm.